So I am flip-flopping my posts this week because I went ahead and weighed in yesterday and I want to upload the pictures of Hudson's birthday today and post about it tomorrow, we had a blast!! I've been doing Focus T25 for almost a month now. I haven't done measurements in about two weeks, so this weekend when I do them I am excited to see where I am at. I have stuck pretty much to the calendar! So Y'all, this Weight Watchers Leader training is NO joke. I have been "drenched" in Weight Watchers for the last week. I've attended 5 meetings, and went through a two-day training. And proof that the program works-- I had a 2.4 lb weight loss WITH JEANS ON. That is killer right there... because everyone knows that jeans alone weight like 3 lbs (not really, but you know what I mean). I was pretty stoked about that. So I lost more than I gained last week and am back on track and at my lowest weight so far! WOO! I had been going back and forth about attending a meeting other than the one I will be co-leading. I've decided that until I hit goal weight I want to attend a meeting for myself when I can. 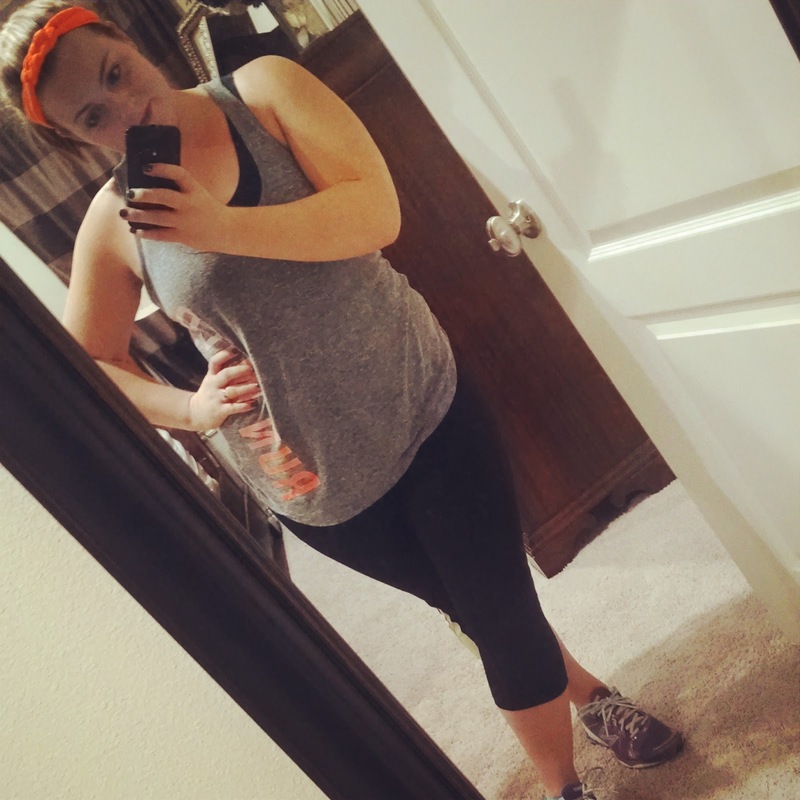 I love the local leader that leads meetings during the day who I have been doing some of my training with and after talking to her yesterday I think I am going to continue to go to her meetings on Wednesdays while my boys are at school to aide in my weight loss. I went out with my girl friends last night to eat at Chuy's and then to hang out at Starbucks. It was a lot of fun and I really enjoy my time out with friends in the same season of life as me. It's always so refreshing to realize you're not alone. 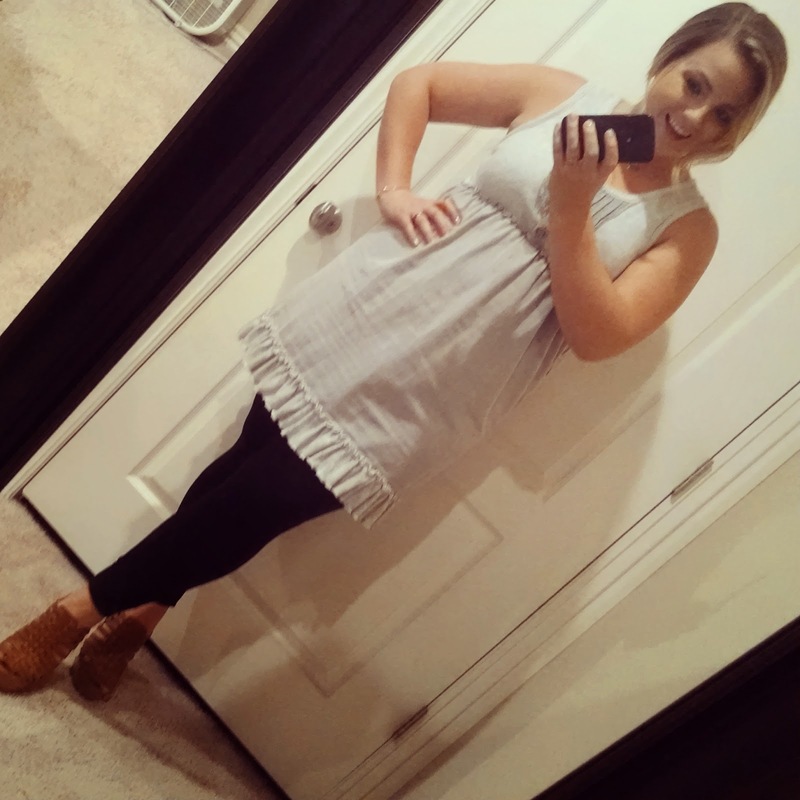 The dress I wore didn't fit me a month ago, so that was another great encouragement! I discovered (thanks to my 5 WW meetings this past week) an amazing dessert. 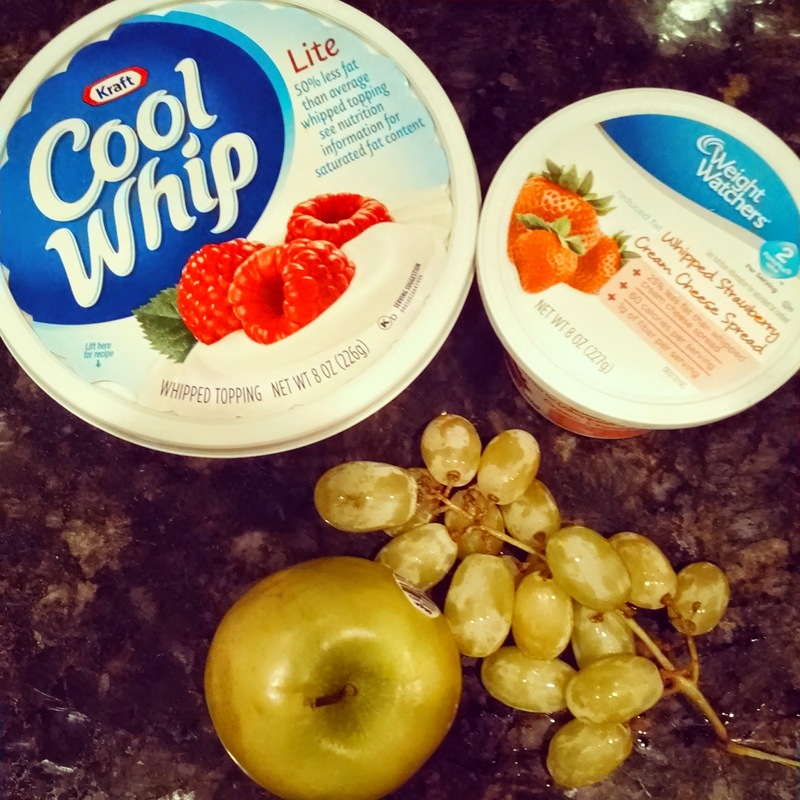 You just mix light or ff cool whip with whipped WW cream cheese and dip fruit in it! SO good with grapes! Happy Thursday Friends. We are having our first days that are feeling like fall, and I love it! I will be back with Hudson's Birthday Party post tomorrow!! Down 23 lbs, 41 lbs to goal.